Over the past 5 years we have brought together experts and the community to reimagine national nature protection so our air, water, wildlife and the places we love can thrive. A new generation of national environment laws must work to protect and restore our natural environment, strengthen our democracy and support community involvement. There is a clear and essential role for the Australian Government to lead the development of a national framework for environmental protection and restoration. In Australia it is unclear who is ultimately responsible for ensuring our environment is managed well. The current system distributes responsibility across the federation, but no one jurisdiction is charged with coordinating efforts to protect our environment. A lack of nationally consistent monitoring and reporting makes evidence-based decision making difficult for governments and increases costs for businesses attempting to comply with eight different, often-changing regulatory regimes. A truly national approach to environmental protection would build on Australia’s international responsibilities and the federal government's capacity to bring authority and resources to environmental governance. Australia’s environment impacts all of us and Australian citizens have a right to be involved in decisions that will affect the use and health of our environment. Our recent history is littered with tales of closed-door or corrupt planning, catering to vested interests, and communities being shut out or ignored by decision makers. Too often this has led to conflict between businesses and communities, and weakened community trust in government processes and institutions. Building and strengthening community engagement in environmental decision making will restore trust in our planning system and help reduce conflict. Timely access to information to help them participate in decision making. Ability to participate in decision making before decisions happen. Ability to question and challenge decisions, ensure outcomes are enforced and hold decision makers to account, including through broad standing provisions, merits review and third party enforcement rights. Effective environmental planning and approval decisions rely on robust and independent advice. Political interference in Australia’s environment institutions has diminished their effectiveness and increased Ministerial discretion in decision making has politicised decision making, reducing trust in the community. Central to a new national environmental protection framework is the provision of independent and transparent advice on planning and approval decisions. 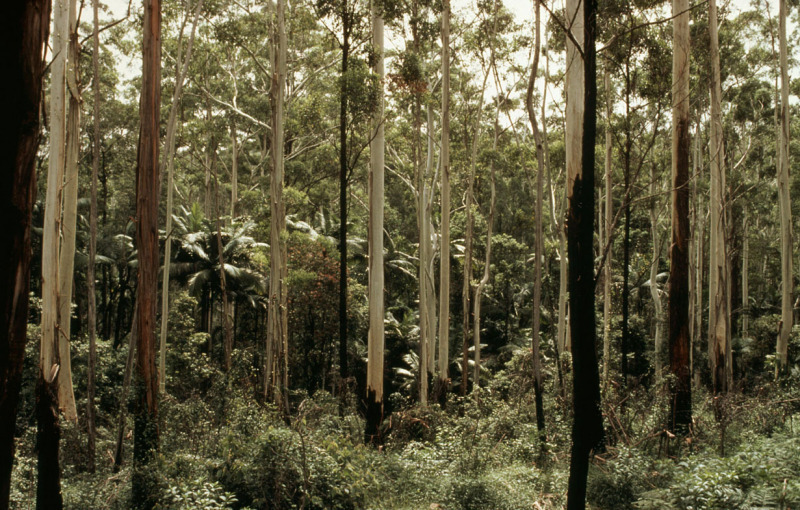 The Australian community expects robust accountability and oversight when it comes to environmental protection. Governments must ensure accountability through timely collection and disclosure of environmental information, including on trends across important indicators. Provide independent and transparent advice to Ministers. Provide clear criteria for how decisions are made. Ensure publicly available, timely and robust reporting on decision processes and outcomes. Ensure the collection and reporting of accurate environmental data. Our new system of environmental protection should be based on twenty-first century principles of smart regulation in order to deliver streamlined, strategic and effective outcomes for the environment, for government, business and our communities. The next generation of national environment laws must build on existing protections, fully reflect our international obligations and drive continuous environmental improvement across the states and territories. Our national laws must set the bar for the states and territories ensuring that irreplaceable natural and cultural heritage is not lost. Our national legal framework must tackle the biggest threats facing our natural world, from climate change to invasive species, through to habitat loss and pollution. 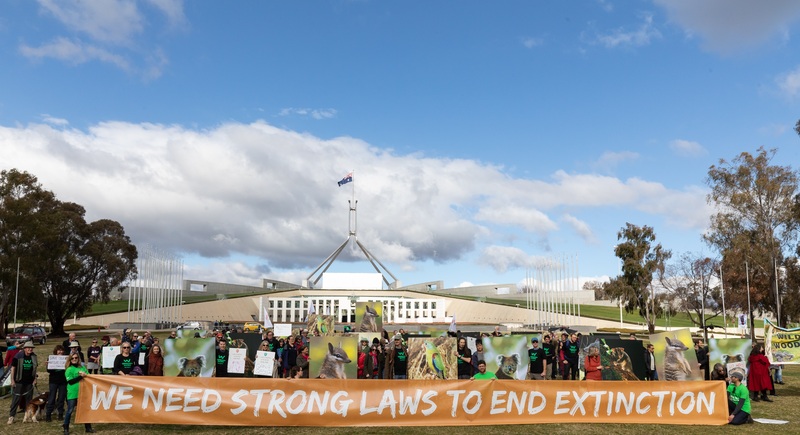 Our national laws must provide for intact connected natural landscapes and thriving wildlife, including providing for the recovery of threatened species. Effective national laws and independent institutions must be backed by adequate resourcing to ensure that there is sufficient capacity and capability to be implemented. One of the biggest threats facing Australia’s environment is the impact of climate change. Our national laws and frameworks must be strengthened to address the challenge of climate change and ensure we can mitigate, adapt to and be resilient in the face of a warming world. The Federal Government must lead on providing clear national controls on greenhouse gas emissions and land-clearing. Our national government must ensure protection of existing carbon stocks, reduce land-based greenhouse gas emissions, facilitate the creation of new, biodiverse carbon stocks, and drive landscape adaptation to the impacts of global warming. Create truly national environment laws that genuinely protect Australia’s natural and cultural heritage. The Federal Government must retain responsibility for current matters of national environmental significance and protect them effectively. National oversight must be expanded to land clearing, biodiversity and ecosystems, water resources, climate change, air pollution and protected areas. Establish an independent National Sustainability Commission to set national environmental standards and undertake strategic regional planning and report on national environmental performance. The commission would also develop enforceable national, regional, threat abatement and species level conservation plans. Establish an independent National Environmental Protection Authority that operates at arm's-length from Government to conduct transparent environmental assessments and inquiries as well as undertake monitoring, compliance and enforcement actions. Guarantee community rights and participation in environmental decision making, including open standing provisions, open access to information about decision making and environmental trends, review of decisions based on their merits, third-party enforcement provisions and protections for costs in the public interest.